Medication-Assisted Treatment (MAT), as part of a comprehensive treatment plan, is considered to be the gold standard of care for people with an opioid use disorder. These medications include methadone, buprenorphine (Suboxone, Subutex, Zubsolv) and naltrexone (Vivitrol) to help manage cravings, reduce drug use and reduce the risk of overdose (and, as a result, reduce HIV and Hep C risks associated with IV use and reduce criminal behaviors). While these medications are very effective and can be life-saving when used as prescribed, it’s important that parents know the fine print about some of the challenges that might come with different types of MAT. Naltrexone (known by the brand name Vivitrol), given as a monthly shot, is an opiate blocker, which means that it completely blocks the euphoric effects of opiates like heroin and prescription pain pills. A person must be opioid-free for 7-14 days prior to getting the first shot to prevent withdrawal. Many providers will initially offer the pill form as a precautionary measure to make sure the person has no adverse reaction to the medication. How frequent are the shots? While most people will get the shot monthly, some may metabolize the medication more quickly and need the shot every three weeks. If insurance won’t cover more frequent administration, the pill form of naltrexone can be used, taken on a daily basis until the next shot. It’s important to complete the course of treatment as prescribed by the treatment team. If a person prematurely stops taking Vivitrol, he/she may be more at risk for an overdose due to lower tolerance. Vivitrol can be expensive, especially if there is limited or no insurance coverage. The manufacturer, Alkermes, offers a co-pay card on their website that can help reduce the overall expense. Families may also consider appealing to their insurance company under the healthcare parity laws for coverage, similar to medications needed for any other chronic illness. What if my child has an injury or surgery? Because Vivitrol is a complete opioid blocker, an alternative pain medication plan will be needed for injuries and surgeries. Your child may not feel the therapeutic effects of medications for pain, cough and colds or otherwise that contain opioids. Therefore, carrying a patient wallet card or bracelet is important as a safety measure not only for Vivitrol, but for all forms of MAT. Is there an overdose risk with Vivitrol? In rare cases, a person may try to “override” the medication, taking an excessive amount of opioids in order to feel the euphoric effects, which can lead to dangerous consequences including death. Abruptly stopping the medication also poses an overdose risk due to lower tolerance of heroin and opioids, so it’s best to make this decision with the prescribing doctor. Buprenorphine (known by the brand names Suboxone, Zubsolv, Subutex and Probuphine), is taken daily as an oral pill, a film placed under the tongue or as a six-month implant in the upper arm. It is used to manage withdrawal symptoms when a person is in treatment detoxing, and can be used as part of an ongoing maintenance plan to manage cravings. It can be prescribed by any doctor who has completed specialized training and obtained a waiver, and administered in the privacy of an office setting or outpatient clinic. Is it taken every day? One of the frustrations of many parents is the daily dosing of buprenorphine as some loved ones don’t take the medication as prescribed, which is no different than many other medications for other diseases. If this is the case, it may be helpful to investigate Probuphine, an implant that lasts for 6 months; however, this formulation is generally recommended for people who have been stable on buprenorphine. Doctors must have recent surgical experience in order to offer the implant, so it would not be surprising to find that a different provider, other than the one who is prescribing the oral medication, is needed. How do you know if it’s the correct dosage? Some people still experience cravings while taking buprenorphine, in which case the prescribed dose may be too low and needs to be increased. It is important to discuss this with the provider to see if the dosage is adequate. Some people don’t like the taste of the Suboxone film, finding Subutex or Zubsolv more palatable. Again, a provider can help address this issue. Can you become dependent on it? Buprenorphine will result in a degree of dependence on the medication, similar to other medications like those for acid reflux, insulin, etc. If a person abruptly stops taking the medication, withdrawal symptoms can be experienced. The best course of action is to stay on the medication as prescribed and use a very slow taper with guidance by the provider over several months or longer. This likely means that treatment will run the course of a year or more and must be tailored to the patient’s needs. A person who has never used buprenorphine before will likely experience a sense of euphoria on the medication, but for a son or daughter who has been using opiates, it does not create this experience — rather, it creates a sense of normalcy, reducing cravings. Is there an overdose risk? Suboxone and Zubsolv contain naloxone which is used to prevent the misuse of the medication by IV injection. (Note this is the same naloxone that is used to reverse overdoses, however, in this case it’s used to prevent opioid misuse, and will not reverse an overdose.) This precaution is not part of the formulation for Subutex and as a result, some providers will not prescribe Subutex unless it’s for a pregnant woman. Overdosing on buprenorphine is usually not as a result of the medication itself, but in combination with other substance like benzodiazepines (i.e. Xanax, Klonopin, Valium) and alcohol. Methadone is given in a pill, wafer or liquid form to be taken daily, usually at a clinic although some states allow clients to take the medication home after a period of time. Many doctors will recommend methadone for patients who have been unsuccessful using buprenorphine. It lasts fairly long in the system, usually for 24 to 36 hours, preventing the frequent highs and lows associated with drug-seeking behaviors. Clinic staff will check toxicity levels as the medication builds up in the body and adjust dosage levels accordingly. While methadone has been around for decades and many people do very well on this medication, it needs to be obtained at an authorized clinic. Daily trips to a clinic can be helpful to receive counseling and support, but it’s a big commitment from a time standpoint, especially if the clinic is a significant distance from your home. There is no specified duration of treatment; however, 12 months is considered a minimum for methadone maintenance. Some people may be on this medication for a lifetime. There is a risk of overdosing on methadone, though the oversight provided in the clinic setting is a protective factor. Most of the people who overdose on methadone are using it for pain management purposes, not as MAT. What do I do if MAT isn’t available? While MAT has been widely endorsed by experts in the field of substance use disorders as part of comprehensive treatment plans, parents may find that their loved ones are confronted by situations where it would be helpful to have MAT, but it isn’t allowed or offered. This is true of some treatment facilities, sober living homes and jails. Unfortunately, there is no easy answer for this other than to try and find programs that will support your son or daughter’s treatment plan. Your voice, as part of a chorus of advocacy efforts, is needed to make these scientifically-proven treatment options more universally available. 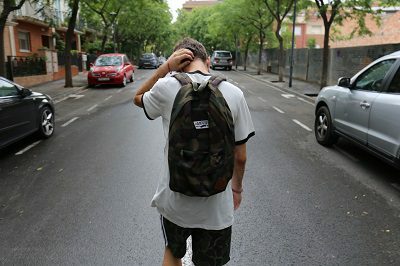 Will MAT help with other substances besides opioids? These medications are designed to address heroin and other opioids (although Vivitrol can be used to address alcohol), but will not preclude the use of other substances, like alcohol, marijuana, benzodiazepines and stimulants. While these considerations are important in understanding how MAT works, your support and encouragement are an essential part of your son or daughter’s recovery and will greatly contribute to your child’s well-being. The longer they are on MAT, the greater the opportunities for success. 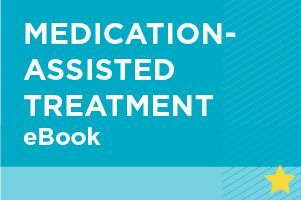 This eBook will help you learn more about medication-assisted treatment – what it is, how it’s used, where to find it and how you can best support your child through treatment. I applaud your efforts to speak to the doctor about your concerns related to misuse and I hope your son has found his way into recovery by another means. I couldn’t agree with you more that a person needs to be in counseling and supported. No one should expect a medication alone to do all of the heavy lifting like developing life skills, addressing trauma and helping people find new healthy outlets. Monitoring can be done in part by the prescriber using drug screens and by collaborating with whoever is providing counseling and the family to get a more well-rounded picture of how someone is doing. It’s not failsafe, but can help. My son was selling suboxone to get other drugs and also injecting it . My insurance was paying. When I told the doctor he ignored us. A person has to be ready to quit or will misuse it. This was common in his group. A person needs to be in counseling. There are also side effects and expense. More attention needs to be paid to the abuse of mat. I was all for anything that would help but it does not work for everyone.